158 years ago today there occurred in Berlin the birth of that fascinating and still much misunderstood figure the future Kaiser Wilhelm II. 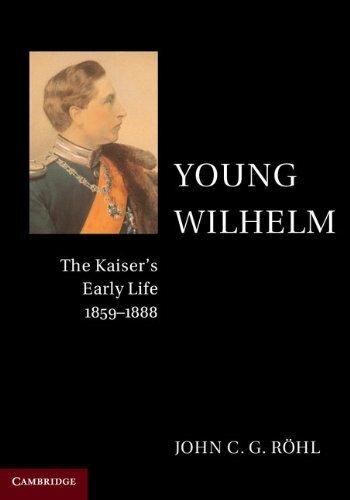 The other year I read J.G.Röhl's massive Young Wilhelm: The Kaiser's Early Life 1859-1888 - the first part of a three volume biography, and which covers his life down to his accession in 1888. Prof. Röhl has trawled through vast amounts of correspondence and other sources to produce his book, and it is an invaluable source as well as being full of interest and elegant diversions. One surprise was that Wilhem's best friend whilst he was at school in Kassell was not only Jewish but was to turn out to be the grandfather of the historian G.R. Elton. I have to say that personally I do not agree with Röhl's basic premise about the Kaiser, and would follow much more the line of Christopher Clark in his biography - which should be read as well - but Röhl is necessary and fascinating reading for anyone interested in the Hohenzollerns in that period, in their relations with the British Royal House, or just keen to know more about the era. The book begins with forty pages on the circumstances of the birth of the Prince in 1859 - as a reviewer commented how many other people get such detailed attention paid to the circumstances of their birth in a biography - but of course the wrenching of the baby's left arm during his delivery led to its permanent damage and is crcial to many arguments (in both senses) about the Kaiser. 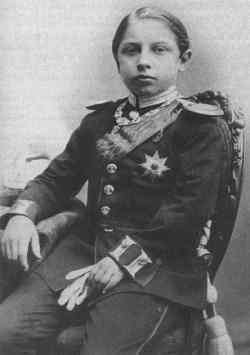 His physical handicap of his damaged left arm, and underdeveloped left facial features at that time led to the photograph being suppressed by his father. One copy alone survives. His mother's sense of guilt about that developed into a hypercritical attitude to her eldest son who she was determined to mould on what she considered the right lines. Reading the book made me very thankful not to have had a mother anything like the Crown Princess/Empress Frederick. She seems at times quite monstrous, busy bullying her husband and making a favourite of her latest child. 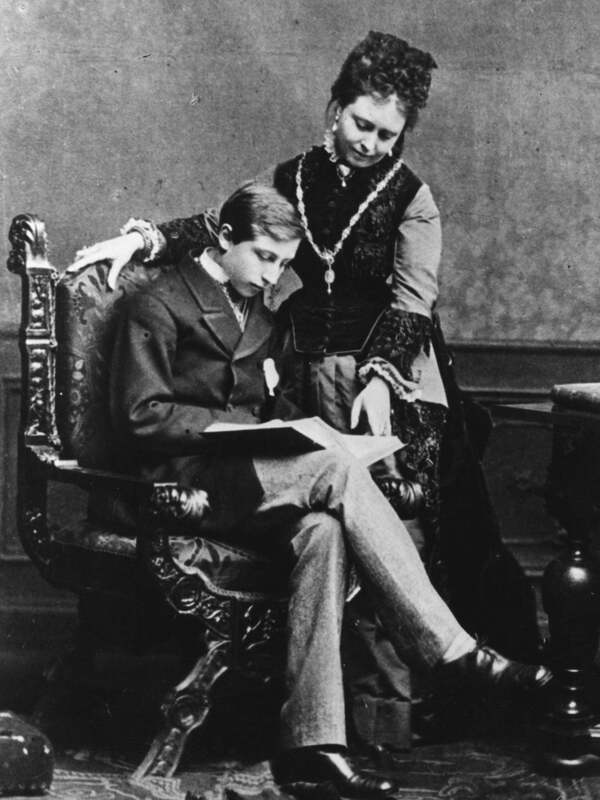 On one occasion she complained that young Wilhelm's letter's home were badly written for a boy of his age - he was having to write with only one usable arm and with the paper sliding around on the polished surface of a table... No wonder as a 22 year old he was anxious to marry the placid, indeed boring, Augusta Victoria of Schleswig-Holstein-Sonderburg-Augustenburg just to get away from home. Most British biographies of the Kaiser's mother are sympathetic to her, but in Röhl's pages she emerges as a difficult woman to say the least. She also emerges as an ill one at times - Prof. Röhl shows that she, and certainly her eldest daughter Princess Charlotte, suffered from porphyria, which can be traced back through the Hanoverians to the Stuarts and earlier. 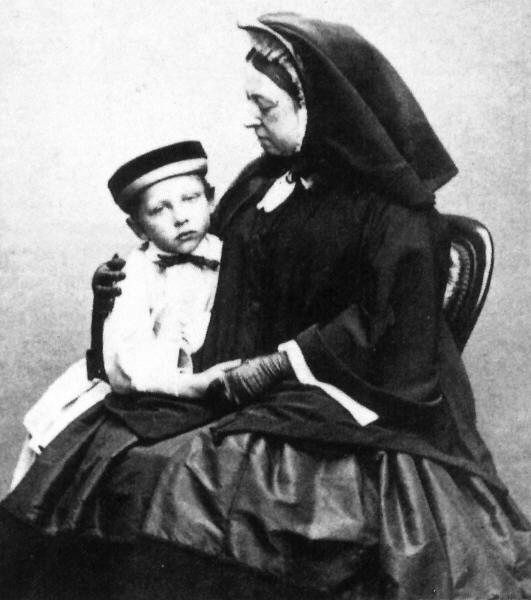 Given his mother's forceful nature ( and peristent and tactless Anglophilia when in Prussia ) it is not, I think, surprising that in the 1880s Wilhelm displayed little love for his mother's home country, or referred to his grandmother as the Empress of Hindoostan. Unlike the implicit tenor of some of Röhl's comments I do not think however that those ideas counted at all in the years leading up to or in 1914. The impression I formed was one of a young man affected by his disability, destined for a throne, but in many ways engagingly human with the weaknesses anyone in such a position might have to cope with or succumb to. One point that might have been explored my sympatheically were Wilhelm's religious opinions - that seems to have been more important than many might think with hindsight. I read the book in hardback and carrying it around Oxford was almost enough to wrench my arm out of its socket. It is now available in paperback together with the other two volumes by Prof. Röhl covering the Kaiser's life from 1888-1900 and 1900-1941. The problem is finding the time to read them.